There’s been much talk about the new minpaku (private lodging) law that went into effect June 15. 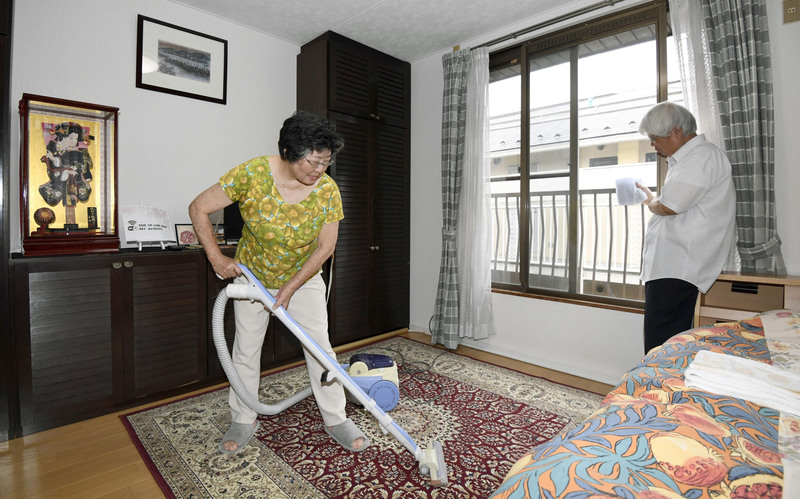 For several years now, minpaku owners have operated in a gray zone, renting out their spare rooms and houses via online accommodation websites such as Airbnb while Japanese authorities tried to figure out what to make of the burgeoning home-sharing business. With a growing urgency for more rooms, minpaku lodgings were a godsend for both guests and a country that has been caught woefully unprepared to receive them. So when the government finally decided to recognize private lodgings and allow them to become legal entities, entrepreneurial souls rejoiced. Much to their disappointment, however, becoming legally licensed to operate had a caveat: increased paperwork and stricter rules that made it much more difficult to qualify. Many disheartened minpaku owners have had to shelve their nascent business endeavors. One of the major forces behind the decision to come down so hard on home sharing was surely pressure from the hotel sector, which has long claimed that minpaku accommodations are encroaching upon its territory. The government also felt pressure from Japanese citizens who complained that their neighborhoods were becoming noisy tourist havens with drunk, rowdy foreigners roaming the streets. Many even complained that foreign guests did not throw out their garbage properly (although surely the minpaku operators should be in charge of putting out the garbage, not the lodgers). Amid all the hoopla between minpaku owners, neighborhood residents and house-rental agencies, there is one sector that has been mysteriously omitted from consideration: the good consumer. The guests who aren’t loud, drunk or negligent are the envy of any tourist economy. Well-monied and mannered travelers dump cash into the economy and keep Japanese people employed at decent salaries, an aspiration that was a distant dream just five years ago. With the new lodging stipulations, the good consumer is the clear loser, as they no longer have access to the variety of experiences that contributed to a richer travel adventure. Sure, they can still stay in established hotels, minshuku (guesthouses) and ryokan (traditional inns), but many are already fully booked. With demand for rooms outpacing supply, and without the back-up accommodation that has until now been provided by minpaku, consumers stuck without accommodation are a real possibility. Meanwhile, construction companies are steaming ahead, throwing up cheap business hotels in and around cities to cater to the growing number of foreign visitors. So those lucky enough to find accommodation can be sure it will be generic and Western-style. The new law will also affect the more intrepid travelers keen to explore Japan’s countryside, where there are few hotels or licensed accommodations. Just when the government was hoping to lure independent travelers off the beaten track to mitigate overcrowding in the big cities, they’ve shut the doors on such possibilities. Since the countryside is largely populated by the elderly, few are going to bother to get a license just to rent out a few rooms now and then. Yet the new accommodation laws are billed as being beneficial to inbound tourists, mainly due to increased safety and hygiene standards. In order to qualify for a license, for example, minpaku will be required to pass fire and safety tests. While this sounds plausible, the reality is often quite different. When the tourist boom started in Kyoto about five years ago, before the home-sharing craze, I was surprised the first time I couldn’t book a hotel at the last minute the way I had always done. With most places full, my only choice was one of the last places available, an aging — but licensed — guesthouse. The entire building had a distinct slant to it and the floor in the toilet had rotted through due to a leak in a water pipe. Rather than fixing the pipe, the old lady running the place just laid patches of carpet over it, which in turn stayed sopping wet. When I talked to a longtime Kyoto resident, he couldn’t believe the place was still running. He had stayed there when he first moved to the city 30 years ago. My first Airbnb experience was equally exasperating. This time I booked in advance into something that billed itself as an “artists in residence” lodging. After I booked it online, I was encouraged to send them a paragraph about myself and why I was visiting Kyoto. I did this but didn’t hear back from them, other than an automated response thanking me for my reservation. Upon arrival on the evening of check-in, they didn’t even know about my reservation. Rather than admitting it (they presumed I didn’t understand Japanese while they tried to find my reservation), they asked me to wait an hour and they set up an extra bed in a dorm room with a group of six other girls. There was nothing “artist in residence” about the place; it was simply an overcrowded dormitory. More recently, I booked into a licensed guesthouse through an online service when I was planning to go hiking. The rooms turned out to be in 2DK (two rooms and dining room/kitchen) apartments in an block that belonged to a man who lived in the house next door. Each room had been recently refurbished with new tatami mats and Western-style doors. The owner showed me to my room, which was very clean, and I had the entire apartment to myself — until around 7 p.m. that night, when a Japanese man drove up in his car and booked the room next to mine. That is when I realized there were no locks on the doors to the bedrooms. In addition, the unit bath/shower opened up right onto the kitchen, with not even a curtain between a naked body and the kitchen/dining area. The Japanese man was a creep. He never took his eyes off my chest while we exchanged chit-chat in the kitchen. I couldn’t sleep that night for fear this weirdo might come into my room in the middle of the night. At 2 a.m. I finally left the apartment to seek refuge in a convenience store, drinking coffee and reading the newspaper till dawn. When I returned to the accommodation, the man had already checked out. These experiences suggest that not enough is being done to protect tourists and make sure they are safe and have an enjoyable experience, whether the property is licensed or not. More helpful than mere licensing would be programs designed to educate lodging owners, backed up by a rigorous inspection program for both minpaku and existing hotels. Finally, while you can never eradicate all aspects of “tourism pollution,” the country could do a much better job of educating tourists about proper behavior here. It’s little wonder they think its OK to stagger around the streets drunk when they see the local Japanese salarymen doing exactly that. Japan Lite usually appears in print on the last Monday Community page of the month.